331 Beacon is located on the south side of Beacon, between Exeter and Fairfield, with 329 Beacon to the east and 333 Beacon to the west. 331 Beacon was designed by Daniel Davies & Son, carpenters, and built in 1880 by them and Weston & Shepard, masons, for Roxana (Stackpole) Dabney, the widow of Frederic Dabney, on land she purchased from the Commonwealth of Massachusetts on April 27, 1880. 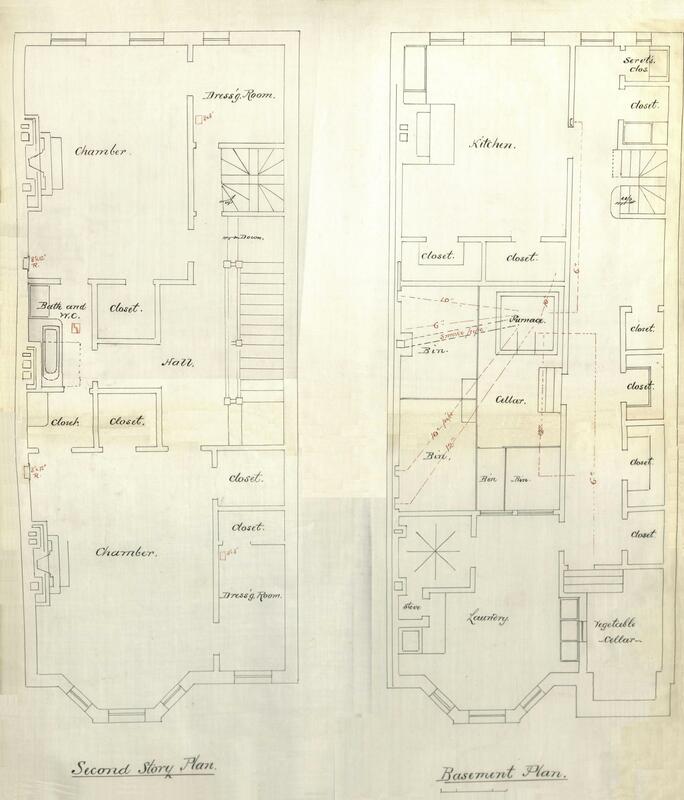 She is shown as the owner on the original building permit application, dated May 6, 1880. Click here for an index to the deeds for 331 Beacon. Roxana Dabney lived at 411 Beacon, and 331 Beacon became the home of her son, Walter Dabney, a merchant and cotton broker, and his wife, Harriet (Larkin) Dabney. He is shown as the owner of 331 Beacon on the final building inspection report, dated November 8, 1880. 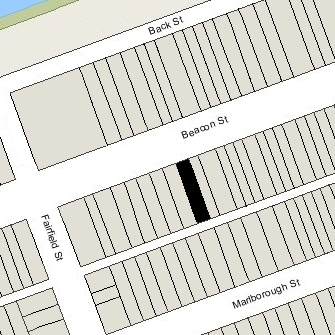 They previously had lived at 235 Marlborough. Roxana Dabney died in February of 1887, and on May 23, 1887, her executors transferred 331 Beacon to Walter Dabney. Walter Dabney died in December of 1899. Harriet Dabney continued to live at 331 Beacon until about 1902. During the 1902-1903 and 1903-1904 winter seasons, 331 Beacon was the home of Charles Bean Amory, a cotton broker and manufacturer, and his wife Lillie (Clapp) Amory. Their primary residence was in Milton. Harriet Dabney resumed living at 331 Beacon during the 1904-1905 winter season. During the 1905-1906 season, however, she was once again living elsewhere and 331 Beacon was the home of banker William Pratt Lyman and his wife, Helen (Beeckman) Lyman. They previously had lived at 528 Beacon. They also maintained a home in Nahant. They had moved to 277 Beacon by the 1906-1907 season. 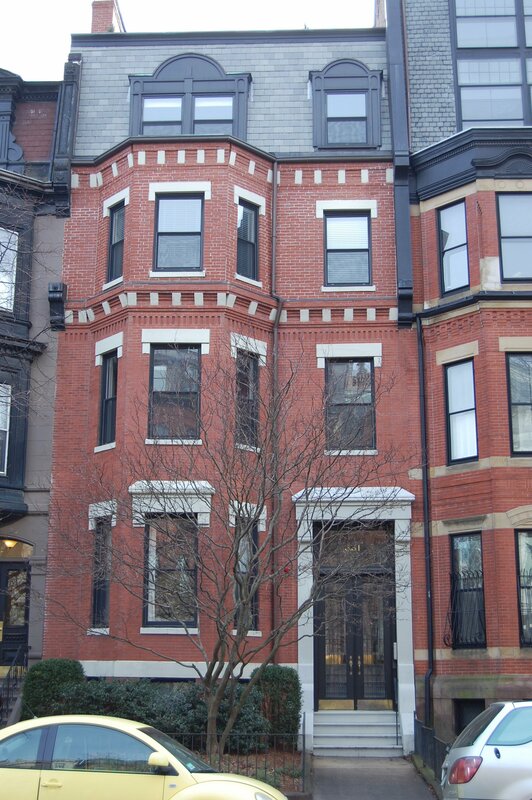 Harriet Dabney was once again living at 331 Beacon during the 1906-1907 winter season. Her daughter, Susanna Rich Dabney, lived with her. They continued to live there during the 1918-1919 winter season, but moved thereafter to the Hotel Somerset. During the 1919-1920 winter season, 331 Beacon was the home of Samuel Loring DuBois Ayers and his wife, Sarah Hobart (Otis) Ayers. Samuel Ayers was a wholesale wool and (by 1920) cotton merchant. On December 16, 1920, Harriet Dabney transferred 331 Beacon to her daughter, Susanna. During the 1920-1921 winter season, 331 Beacon was the home of Mr. and Mrs. Edward C. Hammond, probably lumber dealer Edward Carlton Hammond and his wife, Daisy Grimwood (Dutcher) Hammond. Their usual residence was in Auburndale. 331 Beacon was not listed in the 1922 Blue Book. During the 1922-1923 winter season, it was the home of William Richardson Hayden and his wife, Katherine Morrill (Rich) Hayden. They previously had lived at 62 Bay State Road. They moved to 219 Audubon Road by mid-1923. On July 12, 1923, 311 Beacon was purchased from Susanna Dabney by Helen G. (Martinolich) Rolfe, the wife of Dr. William A. Rolfe. He was a physician and also maintained his medical office there. Helen Rolfe’s sister, Antonia E. Martinolich (called Antonia Martin), lived with them; she was a secretary at a note brokerage. They all previously had lived (and he had maintained his office) at 330 Dartmouth. They also maintained a residence in Boxford. Antonia Martinolich died in 1946. On June 21, 1948, Helen Rolfe transferred the property into her and her husband’s names. William Rolfe died in September of 1949. 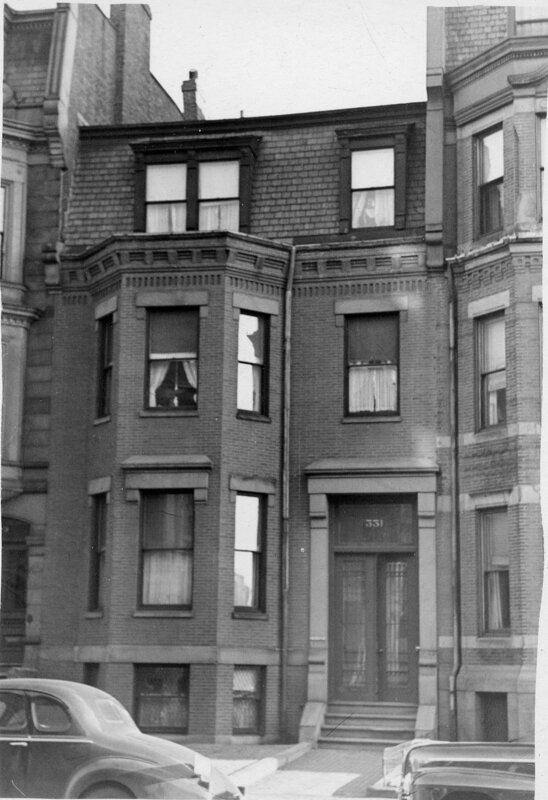 Helen Rolfe continued to live at 331 Beacon until her death in April of 1968. On November 12, 1969, 311 Beacon was purchased from Helen Rolfe’s estate by Constance Green. She previously had lived at 42 Rutland. On August 30, 1971, 311 Beacon was purchased from Constance Green by John H. Brennan and his wife, Mary Alice Brennan. He was president of Boston Clinical Associates. They continued to live there until about 1978. On March 1, 1978, 331 Beacon was purchased from the Brennans by Steven M. Finn. In August of 1987, Steven Finn applied for permission to add a fourth and fifth story to the building and convert it from a single-family into five units. His application was denied and his appeal dismissed. In January of 1995, he applied for (and subsequently received) permission to expand the third floor (by extending the bay an additional story) and to add a fourth floor, converting the property into five units. 331 Beacon remained an apartment building, assessed as a four- to six-family dwelling, in 2016.